This gasket is installed between the heat riser butterfly valve and the 2-bolt exhaust manifold on V8 IH engines. These are usually burned away and leaking badly. 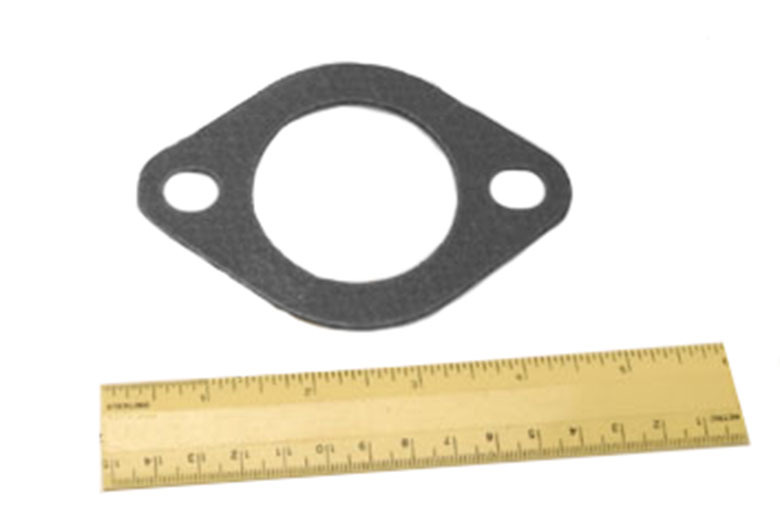 When you replace it, you will probably also need to get new doughnut gaskets, SP11814.